Paris and Washington, D.C. – The fifth annual International Jazz Day celebration came to a thrilling close on April 30th with the worldwide broadcast and streaming of the International Jazz Day 2016 All-Star Global Concert from the White House. 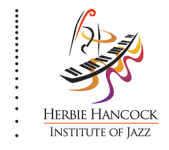 The concert was aired as a one-hour ABC primetime network television special in the United States and streamed in its entirety around the world through the United Nations, UNESCO and jazzday.com websites. Coordinated each year by the United Nations Educational, Scientific and Cultural Organization (UNESCO) and the Thelonious Monk Institute of Jazz, International Jazz Day highlights the power of jazz as a force for freedom and creativity, promotes intercultural dialogue through respect and understanding, and unites people from all corners of the globe. 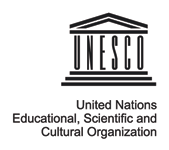 The day is recognized on the official calendars of UNESCO and the United Nations. 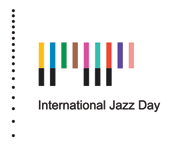 International Jazz Day 2016 programs were made possible by Toyota, the Lead Partner. As Global Host City of International Jazz Day 2016, Washington, D.C. presented more than 50 free jazz performances along with educational and community service programs in all quadrants of the city. The day began with the International Jazz Day Co-Chairs, UNESCO Director General Irina Bokova and legendary jazz pianist and UNESCO Goodwill Ambassador Herbie Hancock, leading an opening ceremony at Washington’s historic Dupont Circle. Beyond Washington, D.C., an enormous range of jazz performances and programs took place in all 50 U.S. states and in more than 190 countries on all 7 continents. In Yerevan, Armenia, the Armenian State Jazz Big Band played jazz standards, while in New Zealand, the University of Auckland held a lecture exploring the city’s jazz heritage. Lagos, Nigeria presented Satchmo’s Jazz & Cultural Festival Lagos, while Puerto Rico’s Jazz and Bossa Radio featured special programming dedicated to International Jazz Day. More than 30 venues across South Korea participated in Korea Jazz Club Day, and JAZZ.brussels organized a joyous jazz parade in the streets of downtown Brussels. United Airlines served as Official Airline of International Jazz Day 2016. The ABC special was produced by Don Mischer Productions.